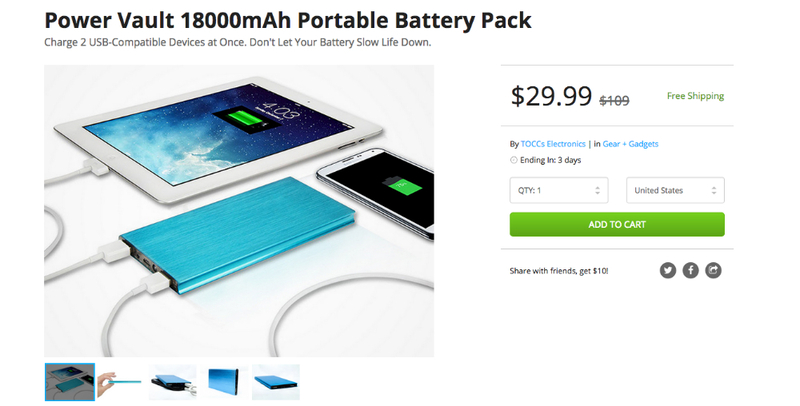 A new deal is up on the DL Deals Store, featuring a Power Vault 18000mAh portable battery pack, priced at $29.99. Regularly priced at over $100, owners can charge up to two USB charging compatible devices simultaneously, while still carry the hardware around in a small bag thanks to its lightweight design. The battery pack comes in a Blue color, featuring an aluminum shell. To top it off, the deal comes with free shipping. If the deal interests you, hit up the link below.